A sophisticated script used to help organize the world's information. A tool used to find information. Search is still in its infancy. They look at page layout and markup, aggregate and localized user engagement metrics, as well as linkage data to determine the relative importance and meaning of a document. People who work on their own site or clients sites to boost their rankings in search engines. How do SEOs Improve Site Rankings? Making dynamic pages spiderable by removing session IDs (and other problems). Linking to all pages on a site via text links (or image links) which search engine spiders can follow. Using relevant specific page titles, headers, subheaders, internal linking, and page copy. Creating linkworthy content & building links to it. Creating strategies to boost engagement metrics. and that you build descriptive inbound links. Link building is usually the hardest and most powerful part of effective broad based SEO. If a market is large enough one might also need to spend significant resources on brand building & boosting engagement metrics. Pay per click advertising makes search engines tens of billions of Dollars of revenue each year. So long as you spend your money with them, they will put your listing front & center in front of searches & most searchers are unaware that the ads are actually ads. and (more importantly) someone other than the search engine is getting that money. Is Search Engine Optimization Ethical? Search engine optimization is just a means to help distribute your message. Nothing more, nothing less. Calling search engine optimization unethical is similar to calling creating a website or printing a newspaper or building hammers unethical. SEO can be used to push unethical ideas (racism, war, ignorance, sweat shop labor for companies like Nike, etc.). Just as frequently SEO can be used to push ethical ideas (equality, peace, education, safe and honest working conditions, etc.). SEO itself should not normally be tied to any ethics guideline B/S. One can use SEO to push whatever ideas they like though. Almost nobody talks about how paid search ads are unethical, yet Google was fined about a half-billion Dollars for running ads for illegal steroids. Why do Search Engine Optimization Experts Use the Ethical Marketing Angle? The SEO industry is often lacking in credibility. Its easier to use that as a branding angle than it is to be original and come up with your own. Unsolicited email messages are spam because they shift the marketing time and cost from the marketer to the person opening their email. Because it steals your time (a portion of your life you will never reclaim) spam email is exceptionally bogus. Can You Spam a Search Engine? A search engine is not a person. A search engine is a tool. When their algorithm is messed up they push the blame on some "deviant" webmasters. The real solution of course is to make a better algorithm. Webmasters who provide the content to fill the search results do not necessarily profit adequately for providing the content which allows search engines to deliver a ton of ads (consider what is happening to ad revenues at newspapers). Some of these same webmasters sell text links to other high margin or profitable sites. This is of course arbitrarily wrong because search engines want to be the middle man and want to profit from as many internet ad Dollars as possible. The goal of the SEO is to get the clients site to rank better for relevant search phrases to spread messages or create sales. No matter what the SEO, search engines, or clients say: the SEO should put the client ahead of the search engines. Certain methods are more risky than others and most sites do not need to be promoted via exceptionally risky methods. Some SEOs are too aggressive, many other SEOs take money and do little work for their pay. You should research before spending money on SEO. Being an honest business person is a good thing. Hinging your marketing on ethics is a blatant display of desperation. unoriginal marketers who are severely lacking in creativity. Since a search engine is a tool its not something you can spam. 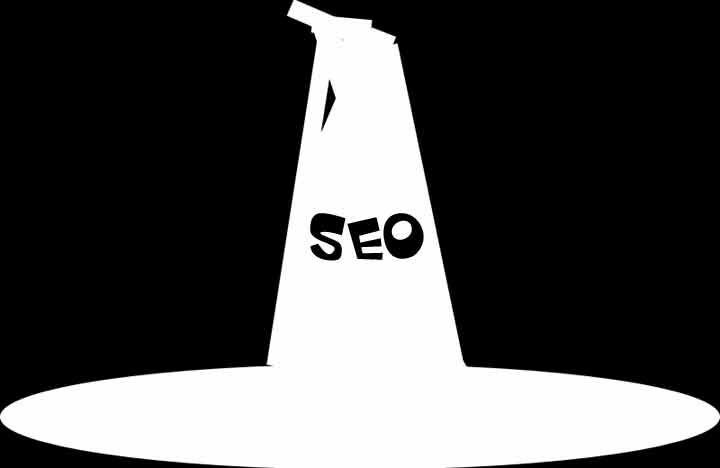 Some clients specifically ask to avoid alleged White Hat SEOs.